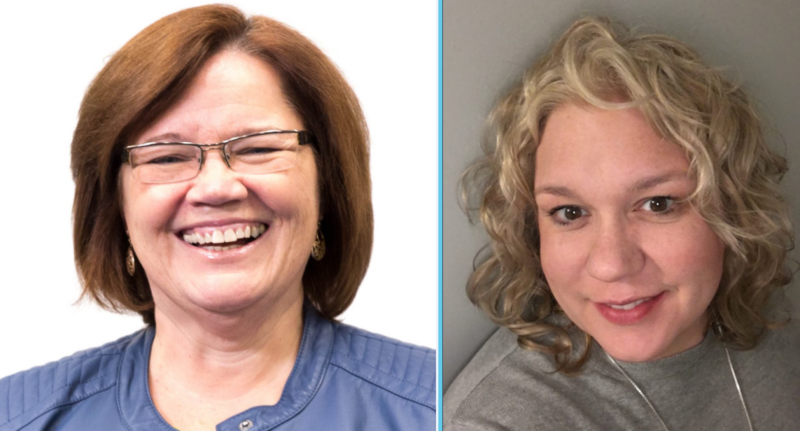 Jana Purkis-Brash and Juel Nelson have been appointed to key staff positions in Greater New Jersey starting July 1. After a nationwide search to fill the Executive Director position, Purkis-Brash, a GNJ pastor and leader , emerged as the candidate best suited for a job which takes the first step toward reimagining what the organization can be. Existing to serve the financial and investment needs of GNJ, its local churches and agencies, the Foundation seeks to invest, grow, manage and utilize funds to multiply the future ministry of GNJ for disciple making and world transformation. Working with churches to develop endowments, manage reserve funds and encourage planned giving, the Foundation’s investment policy follows the socially responsible investing practices of the United Methodist Church and is handled by Wespath Investment Management. In the last three years, the Foundation has grown exponentially, exceeding $36 million in assets thanks to the many churches who have invested through it. “Jana has served GNJ since 1982 and will draw on her personal relationships with other clergy as well as knowledge of the conference to succeed,” said Sue Goodman, Interim Executive Director of The Foundation. Purkis-Brash brings a wealth of pastoral experience and a passion for outreach and mission. The position will spearhead a new department that oversees four people and helps GNJ become more regenerative in terms of funding mission particularly as our churches engage in developing Hope Centers and other community mission initiatives. Purkis-Brash has served in ministry at Princeton UMC since 2008 and initiated the Cornerstone Community Kitchen (CCK) and Feed Truck Café. She currently serves as Circuit Elder on the Capital District, as a candidacy and clergy mentor, and on the Board of Directors for CCK, The Feed Truck, and United Methodist Communities. Married to Donald Brash, a professor at Palmer Theological School, the couple have one daughter, Leah, and two grandchildren. Brash enjoys days at the Jersey Shore, cooking, walking along the D&R canal trail, and adventures with her grandchildren. Tasked with leading and inspiring biblical and theological understanding of leadership and increasing the skills and number of apostolic transformational leaders within GNJ, the Director of Leadership Development position has been discussed and contemplated by lay and clergy leaders for several years to meet growing needs. Nelson will work with the Boards of Laity and Ordained Ministry, Connectional Ministries Team, and Regional Teams to ensure GNJ is recruiting and equipping transformational, apostolic leaders to make disciples and grow vital congregations for world transformation. A passionate disciple who believes that recruitment and leadership development of clergy and laity is essential for the growth of vital congregations, Nelson is an apostolic leader who supports and encourages others to live into God’s greater vision. Nelson holds a M.Div. from Princeton Theological Seminary and a B.A. from Saint Joseph’s University in Philadelphia. She has been blessed to serve Succasunna UMC, Franklin Lakes UMC and Dingmans Ferry UMC and is currently on the Executive Committee of the Board of Ordained Ministry as the Candidacy Mentor Registrar. Nelson expressed enthusiasm to work with clergy and laity to develop and grow apostolic leaders within GNJ.